MioBio opened in 2009 and it is a charming little store. 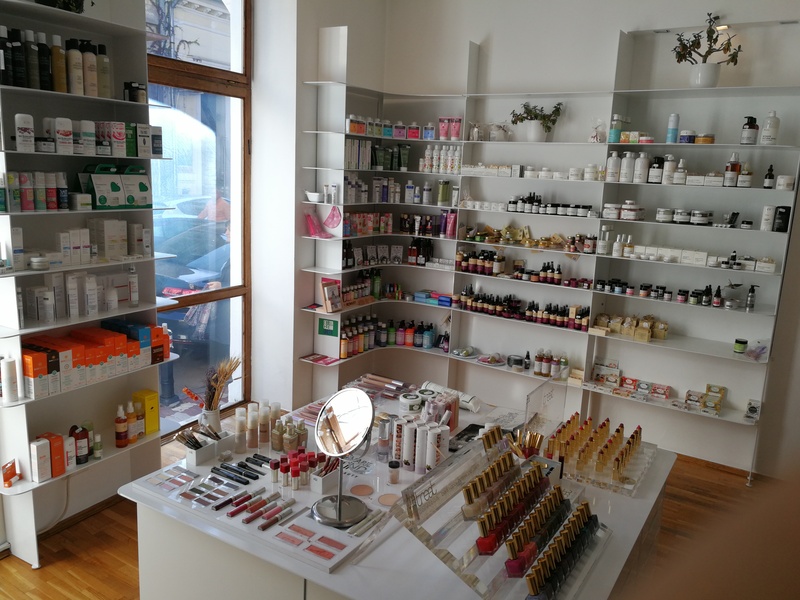 Located in Strada Jules Michelet 9 (just off Bulevardul General Gheorghe Magheru), MioBio was the first organic cosmetics store in Bucharest at the time and it is still the only store in the city that is dedicated entirely to organic beauty. The shop was opened by Alma Rusu and her colleague Ioana Paun. 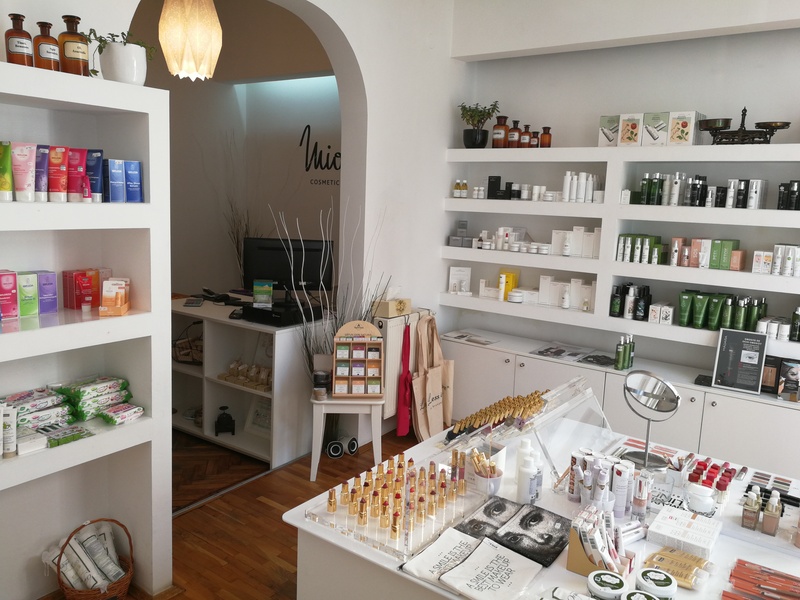 Alma and Ioana worked at the same bank in Bucharest until they decided that it was time for a change, quit their jobs and opened a store for organic cosmetics. I love this kind of female entrepreneurship! 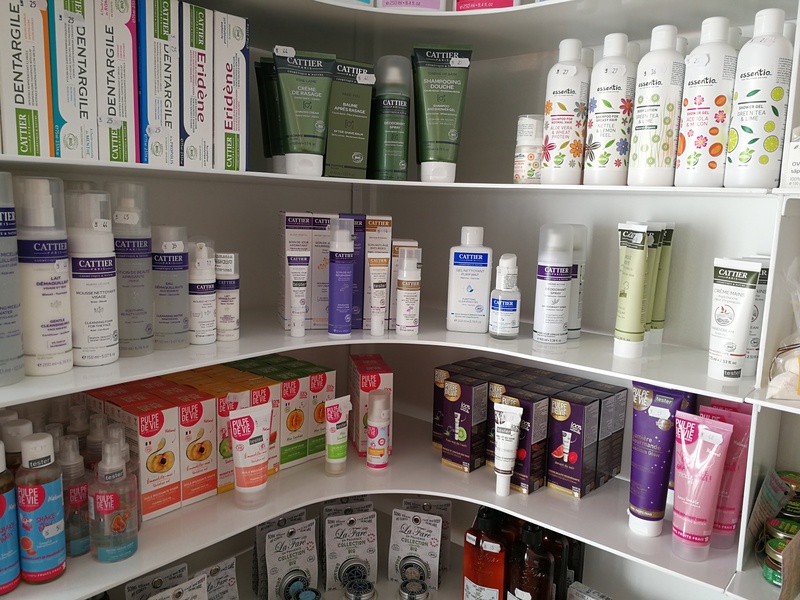 MioBio sells around 40 organic beauty brands (including some household cleansing brands) from around the world. 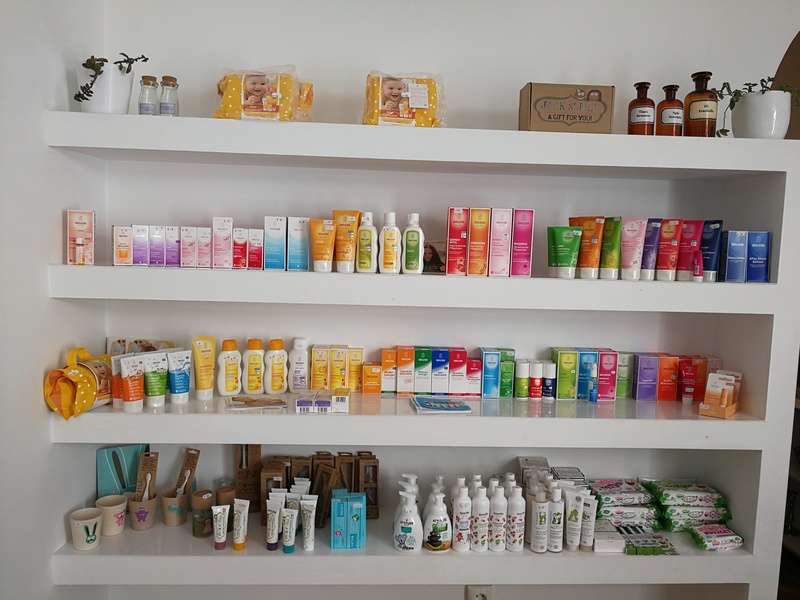 Most of the brands are from Europe and MioBio is also the official Romanian distributor for around ten of these brands: Weleda, Annemarie Börlind, Susanne Kaufmann, Treat Collection, Florascent, Natracare, Khadi, Stop The Water While Using Me and Förster’s Natural Products; Biosolis, Cattier and Pulpe de Vie from France, Less is More from Austria and Màdara from Latvia. However, the portfolio also comprises US brands like Schmidt’s, Dr. Bronner’s or John Masters Organics. 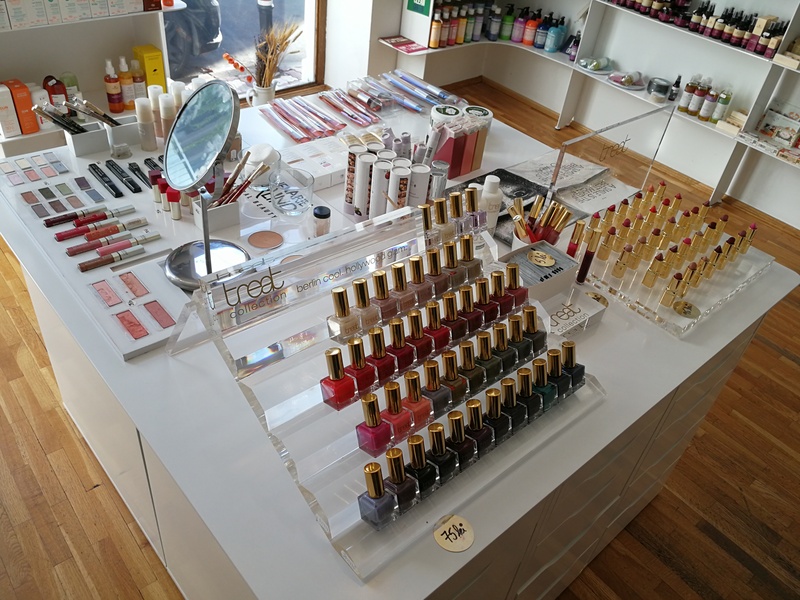 And, of course, MioBio stocks a number of Romanian beauty brands! 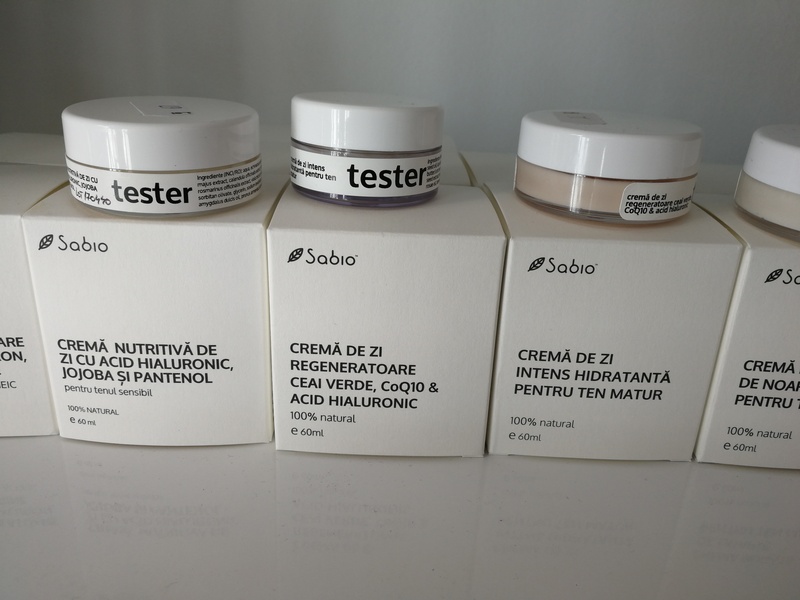 Now, the only two organic brands from Romania that I knew were Sabio Cosmetics and Prisaca Transilvania – I particularly liked Sabio which offers a wide product range of face care, body care, hair care, bath and shower products and even baby products. Sabio is one of MioBio’s bestselling domestic brands (together with Raftul cu Miresme and NN; more on these two brands further down the article!) but the store also sells around half a dozen other Romanian beauty ranges. It is noticeable that all of these artisan brands were founded within the last ten years or so. 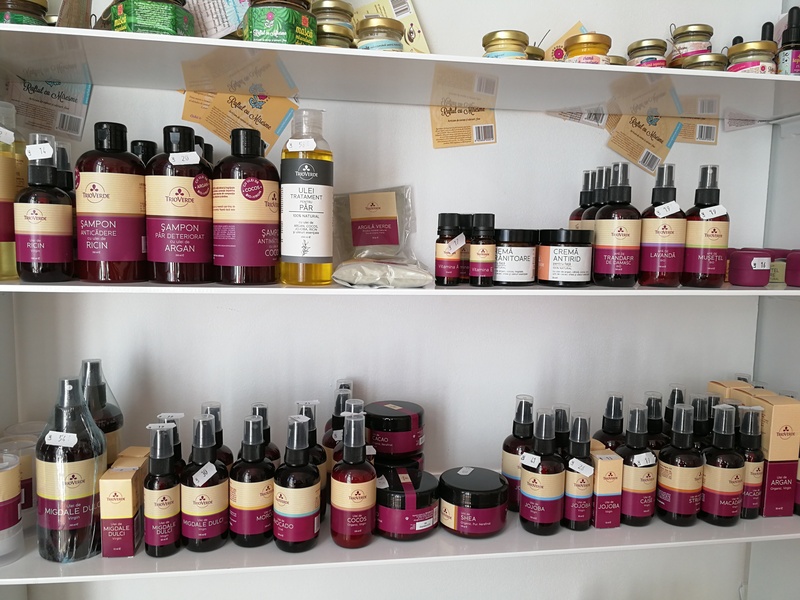 Organic beauty is definitely an up-and-coming product category in Romania. 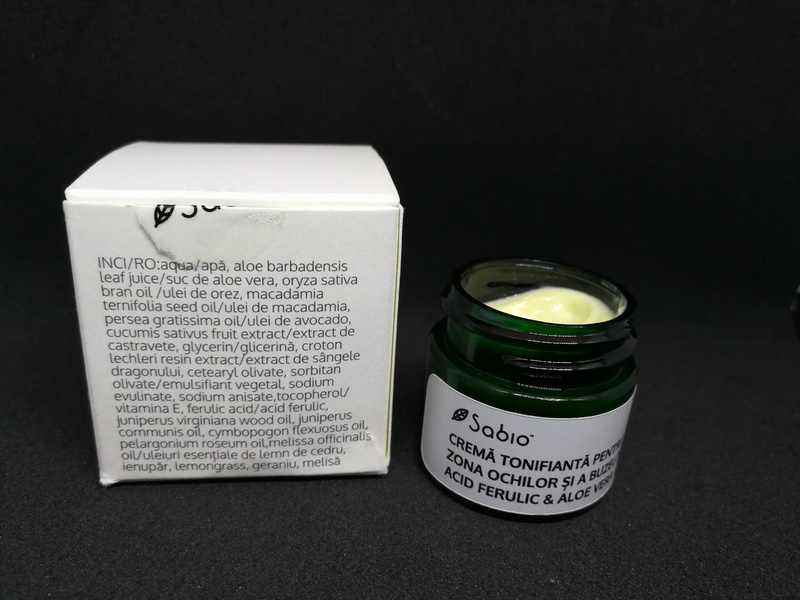 First, of course, there is Sabio Cosmetics from Bucharest (see pics above). The brand was launched around 5 years ago. 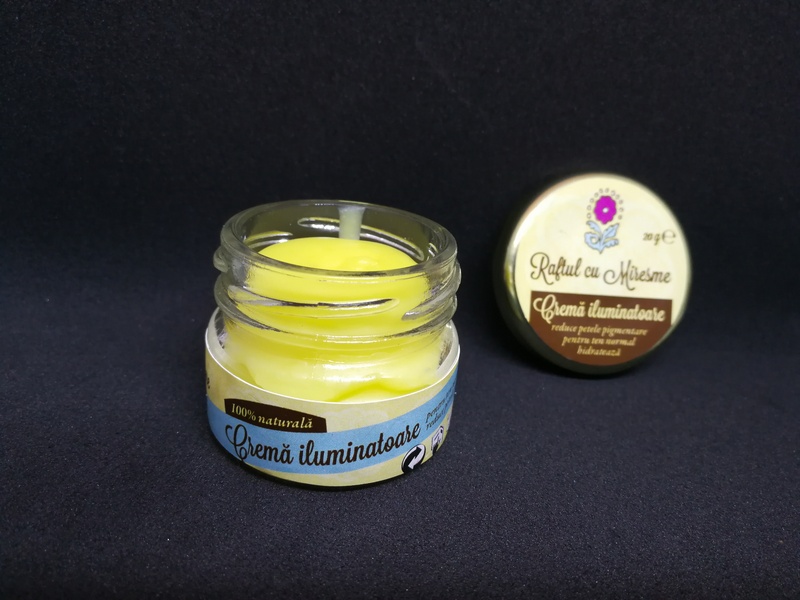 I bought the moisturising Cremă Tonifiantă for eyes and lips – check out the pics below – which has a very firm and almost solid texture (which makes it ideal for travelling with hand luggage only!). I tried out the balm that very evening and was so impressed by how well the product felt on my skin that I went back to MioBio the next day and bought a back-up. 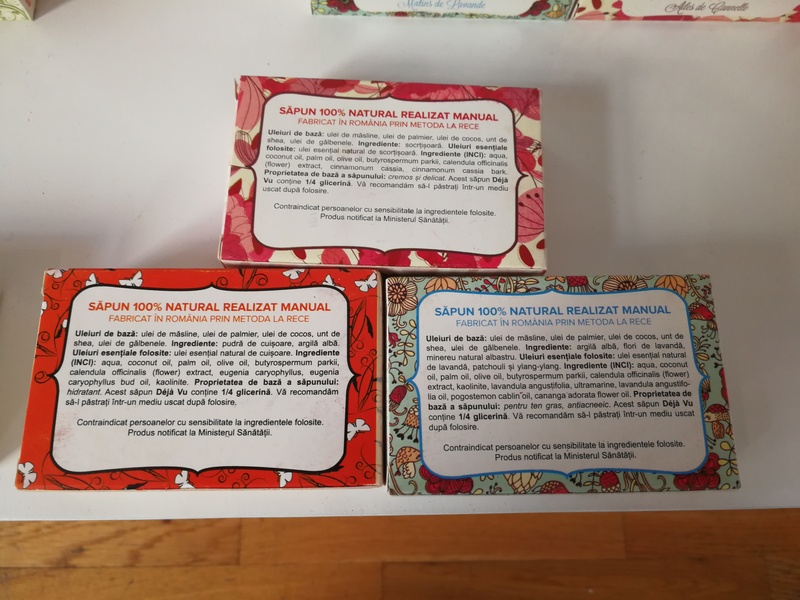 Colourfully packaged face care range Raftul cu Miresme (see pics above) is also from Bucharest. The brand name roughly translates as “sweet shelf” or “shelf of fragrances” and refers to the inspiration behind the brand. The founder, Georgiana Radu, was travelling in Sri Lanka when she visited a local spice plantation (which are called “spice forests”; I just googled it. Sounds amazing!). 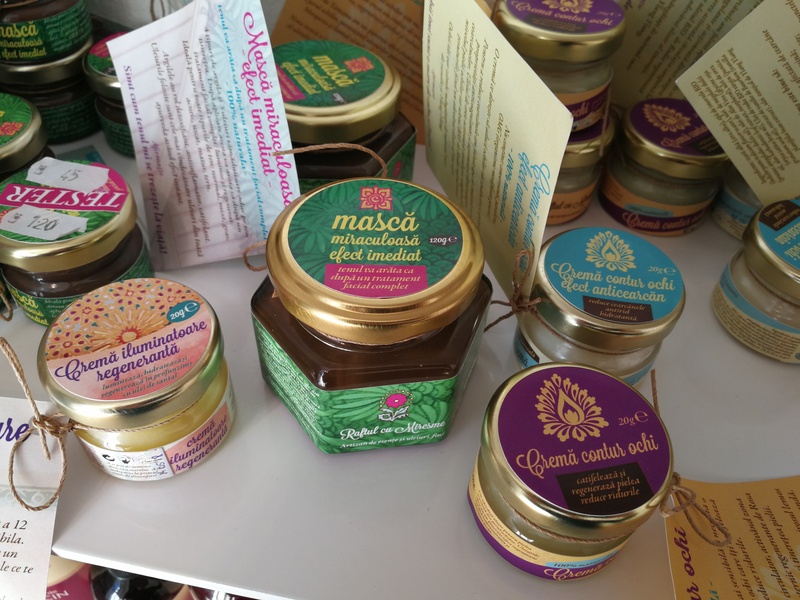 This inspired her to create a ayurvedic beauty brand based on plant oils, plant butters and essential oils. 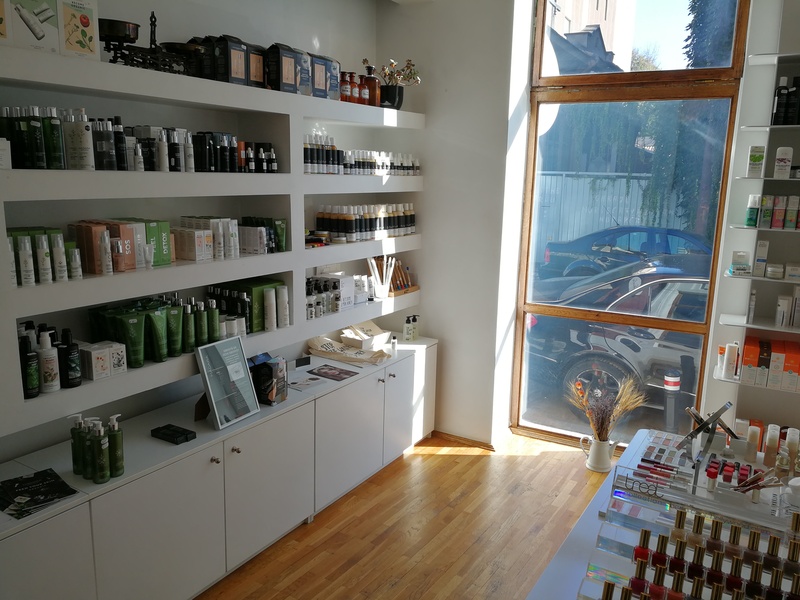 Raftul cu Miresme offer skin care balms, eye creams and face masks (most products are water-free balms) which have an almost solid texture. 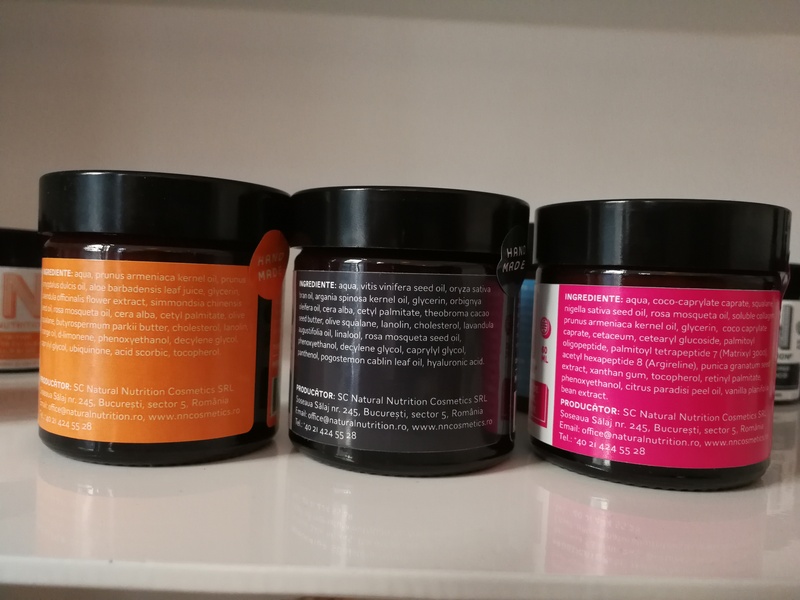 The products are packaged in little glass jars reminiscent of fancy mustard jars, and the range includes two eye creams, an illuminating face moisturiser (which is available in two sizes, 70gr and 20gr) and a rejuvenating balm mask with cocoa. 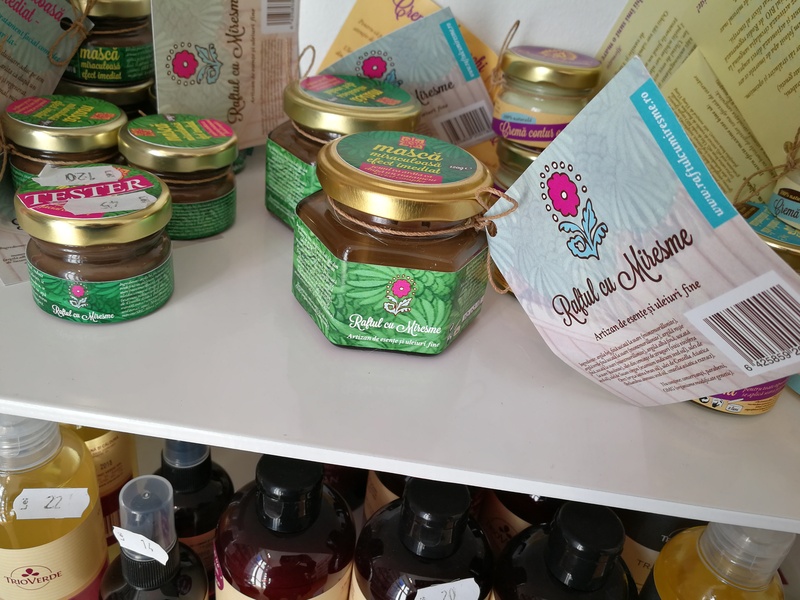 There is also a body scrub with honey and rice flour, a regenerating face cream (again available in two sizes), the “miraculous effect mask” which contains different types of Ayurvedic clays and oils, a regenerating & illuminating cream, a bi-phase face cleanser, a regenerating oil serum and a scrub. 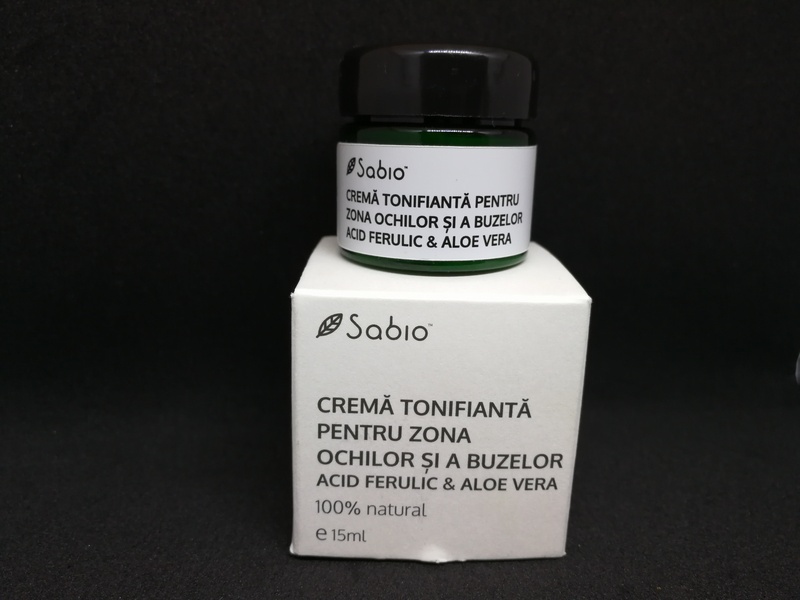 Prices range from around 55 Lei (12 Euro) for 20gr of eye cream while 70gr of the illuminating cream is priced at 75 Lei (16 Euro) and the “miraculous mask” (120gr) retails at around 120 Lei (26 Euro). 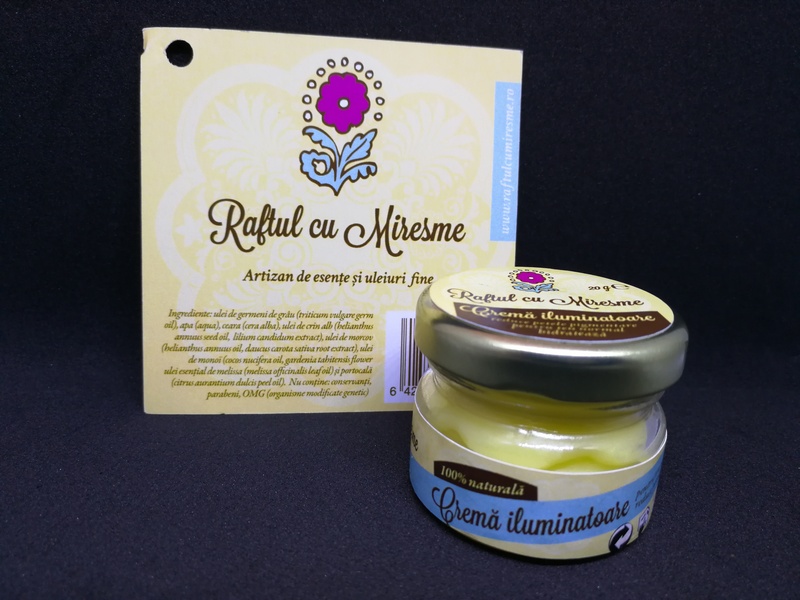 I bought a small size of Raftul cu Miresme’s illuminating day cream – see pictures above! The balm is based on wheatgerm oil, beeswax, coconut oil and monoi oil and has a bright yellow colour which probably comes from the carrot oil that is also listed on the INCI declaration. 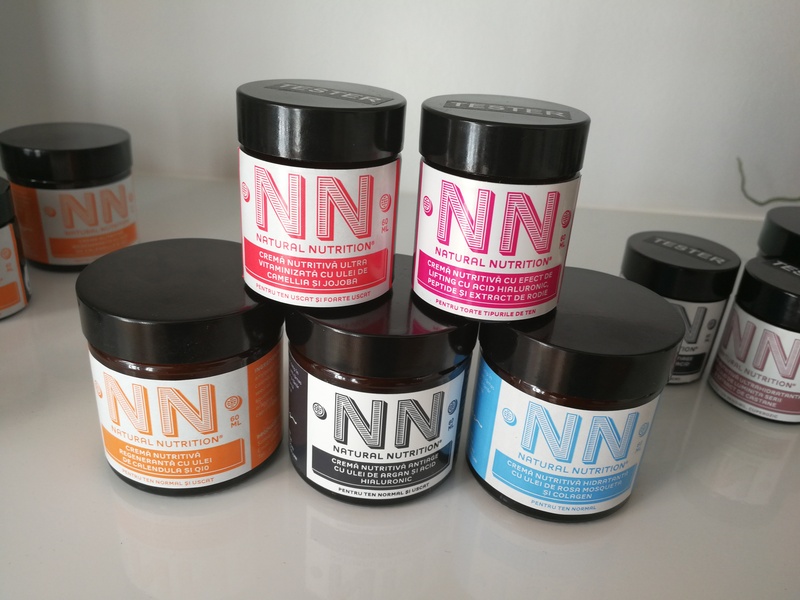 NN (Natural Nutrition), also from Bucharest, is an apothecary-style beauty brand. The products are made according to the recipes of an actual pharmacist who is now an elderly lady – her daughter created NN and uses her mother’s product formulae for the products. NN has a compact portfolio: the line-up includes face care (nine face creams for different skin demands), an eye cream, two serums, two face scrubs, a body butter, two sun care products and two men’s care products. 60ml of face cream retail for around 30 Euro; the serum is priced at around 34 Euro. Check out the ultra stylish packaging! I tried out a number of the face creams; the textures are lovely and I like the subtle herbal fragrances of the face creams. Very pleasant. By Codru was launched around 3 years ago (I have no pics for this range, sorry! You can check out the product design on the brand’s website). The artisan brand is from Transilvania, from a city called Târgu Mureṣ. By Codru offers a compact range of beautifully packaged face care products – Fior – and a line of body care products which are called Ador. The Fior line-up includes an eye cream , a regenerating oil serum and four facial moisturisers for sensitive skin, mature skin, oily skin and acne-prone skin. 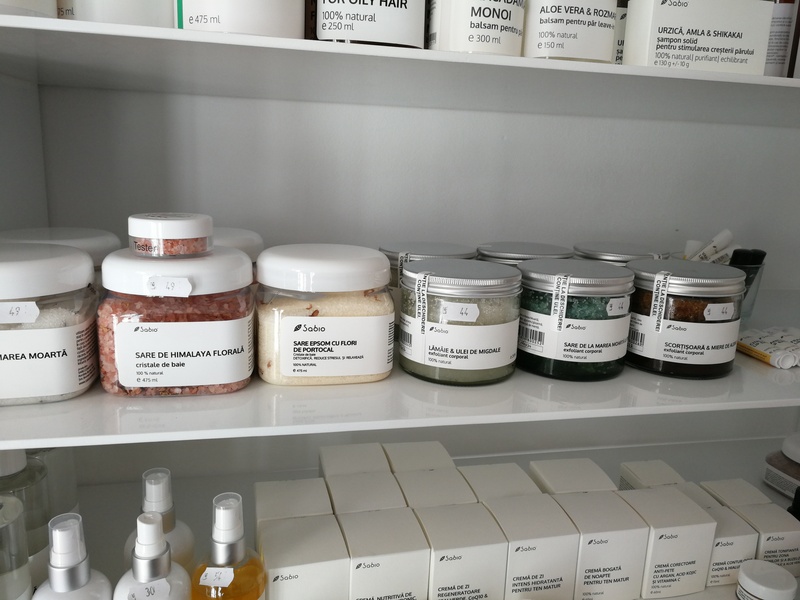 On the body care side, Ador offers three body creams, a body scrub, two massage oils and bath salts. A jar of 60ml face cream retailers for around 130 Lei (around 28 Euro). TrioVerde, launched around 2010, is from the Bucovina region of Romania. See pics above! 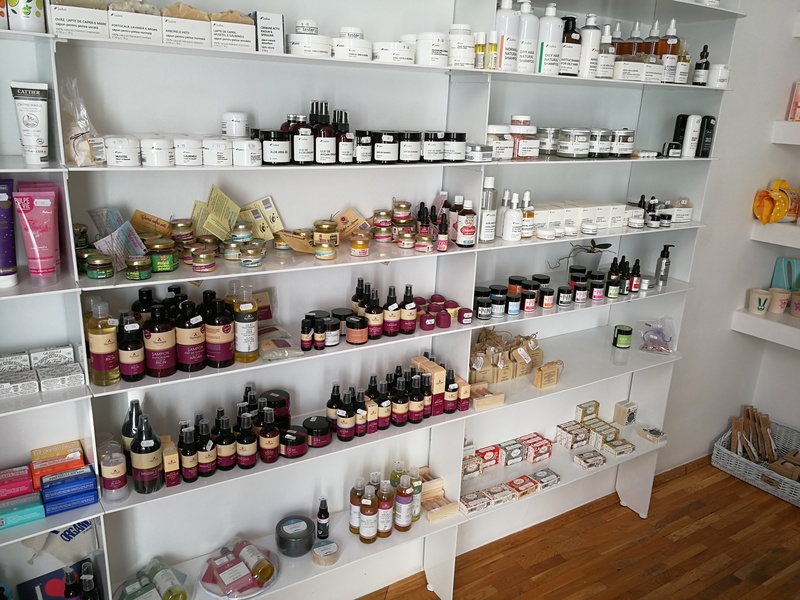 The brand offers single ingredient plant oils, plant butters and hydrosols as well as finished cosmetics like massage oil blends or lip balms. 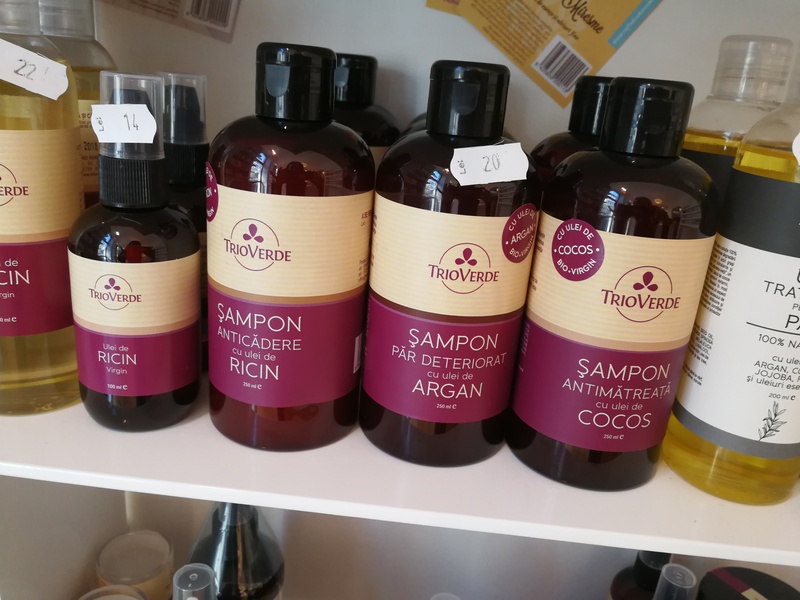 TrioVerde has a very wide range of oils and butters: the line-up includes five hydrosols (rose, lavender, melissa, mint and chamomile), 12 plant oils (coconut, avocado, argan, grapeseed, apricot, castor etc. 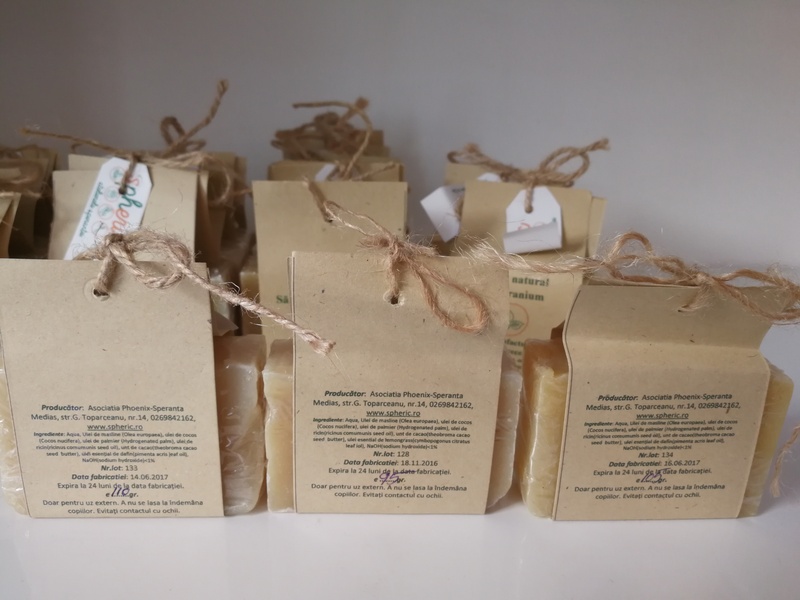 ), around 21 essential oils; cocoa butter and shea butter, powdered green clay, vitamin A and vitamin E serums, three shampoos with argan, castor and coconut oil respectively as well as a hair treatments, nine bar soaps and several men’s care products. 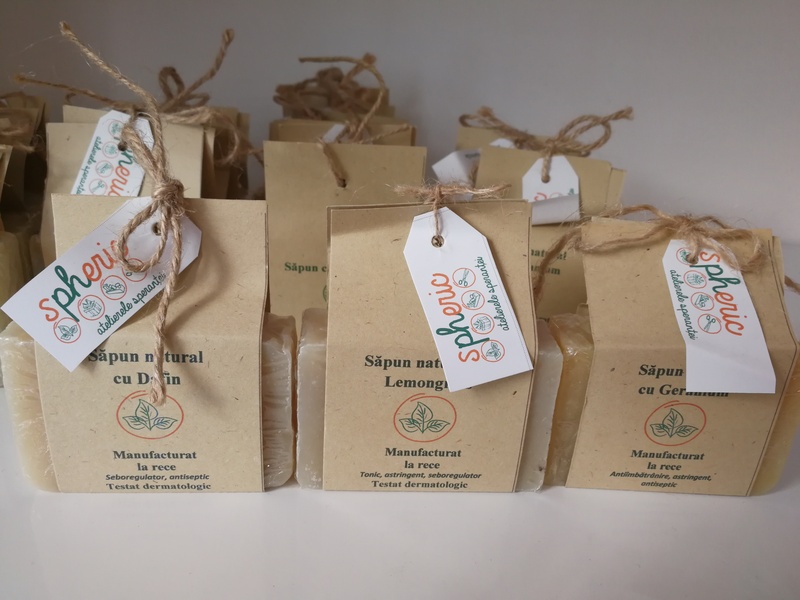 Soap brand Spheric is a social business brand from Transilvania – their bar soaps are produced in a factory which employs disabled people. Most of the purchase prices for Spheric’s products go straight towards the charity that runs the factory. 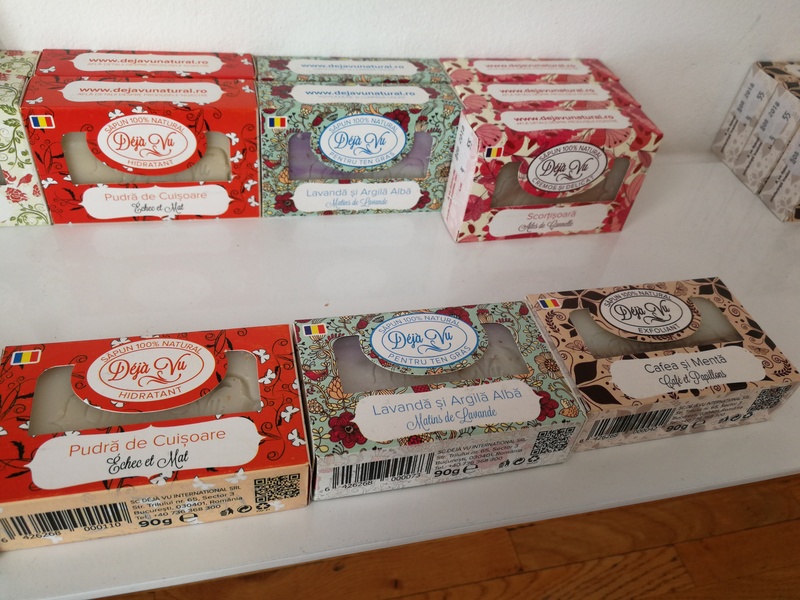 And Déjà Vu (see above) is another Bucharest-based soap brand. The company offers beautiful bar soaps which are based on plant oils and natural tensides. The range includes 12 variants: L’Amour Vert contains green clay, cucumber and aloe vera, Brin de Raiponce is formulated with nettle extract and castor oil, Sortisoara contains cinnamon powder, Cafe et Papillons is made with white clay, mint oil and ylang ylang and Parfum d’Agrume contains orange and lemon essential oils and goji berries. Esprit de la Terre is manufactured with red clay, carrot extract and sage, Matins de Lavande contains white clay and lavender oil, Fruit de la Passion offers a fruity blend of kiwi, papaya and banana, Petit-Pixie contains calendula, chamomile and honey, L’Argile Miraculeuse is made with white, red and green clay, Echec et Mat is formulated with white clay and clove powder and Charm du The is made with green tea, black tea and aniseed essential oil. 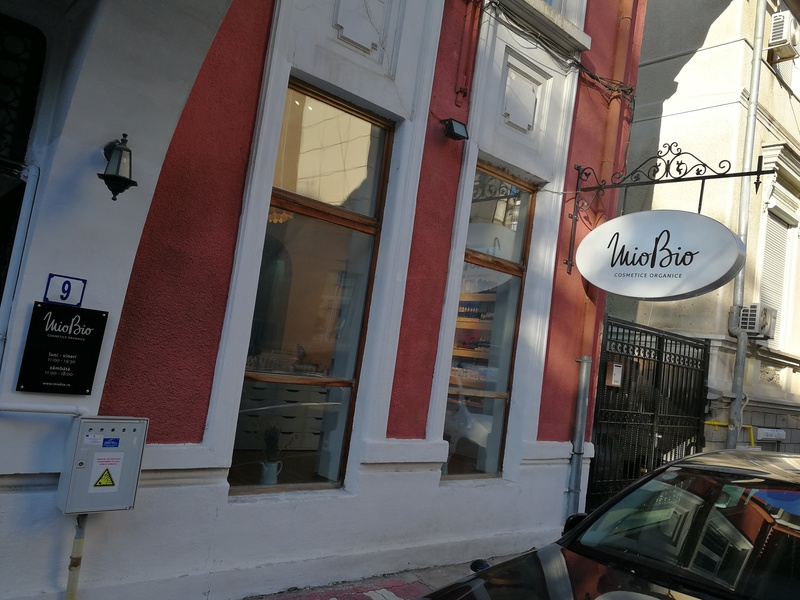 If you visit Bucharest, check out MioBio! The store is close to another beautiful retail store – the Strada Pictor Arthur Verona outlet of Bucharest bookstore chain Carturesti. Also very much worth a visit!